I have spoken about building performance and building quality for more than 30 years. When starting a session, I often ask: How long should houses last? What I’m really asking about is quality. Are our expectations for the quality of the homes we build rising or falling? As the largest home building companies get even larger, the focus tends to be on satisfying shareholders and delivering a record number of closings. How do we balance those goals with what really matters (or should matter) to every business: delivering a product customers like or, ideally, love? We are facing a sea change in the building industry that none of us can escape. 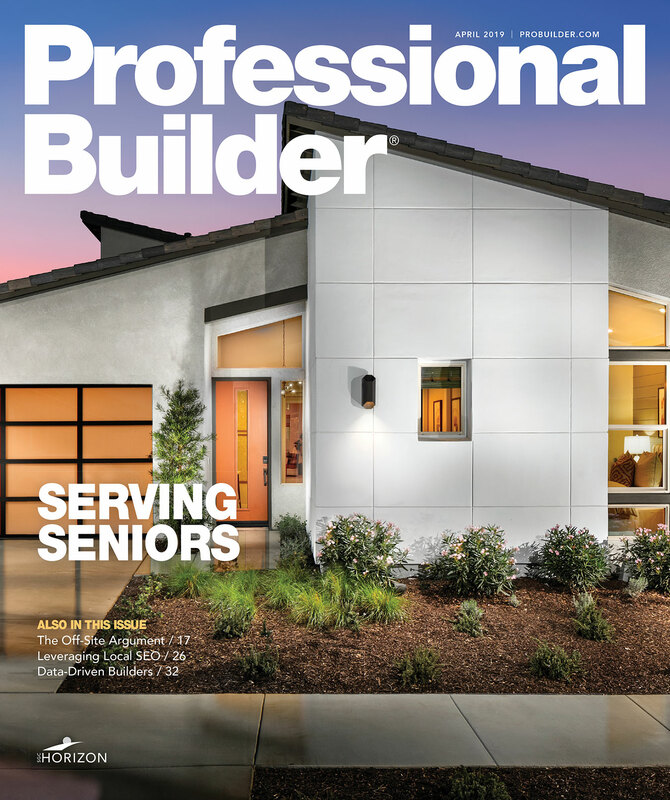 Automation, a shrinking pool of skilled tradespeople, rising material costs, and increasing reliance on consumer ratings are backing builders of all sizes into a corner. But a solution may be found in an unlikely place: the Japanese auto industry of a generation ago and, in particular, the business philosophy of Dr. W. Edwards Deming. Toyota. Honda. Lexus. What did these Japanese car companies do that American car companies didn’t back in the day? With Dr. Deming’s help, they became obsessed with the idea of quality. They were driven to make innovations in durability, longevity, and consumer support long after the sale. They cared about how their customers would experience their product. Instead of obsessing about how many units they were selling, these companies set out to ensure that consumers would trust the reliability of their products and believe they were making an investment in quality. In that respect, it doesn’t matter if you’re selling cars or smartphones or houses. Ask yourself: Would you pay more for a car that never breaks down? How much more would you pay to have a car that offers a smooth ride, accelerates more quickly, and has the latest technology periodically updated by the company at no cost? These are the questions those companies and others since (think Tesla and Apple) asked then and continue to ask now as their market shares and profits rise. By contrast, American auto companies in the ’80s followed a process called Management by Objective to increase product delivery, drive higher profit margins, and reduce cycle times. This approach has been good for many industries, but it doesn’t work well for housing. It means asking trades to work harder, more efficiently, and for a lower cost. It means asking suppliers to lower their prices and pitting one company against another. It results in cutting corners, skipping steps, and turning a blind eye to things we shouldn’t. Over time, both for companies and the industry, reputations get shaky, customer satisfaction declines, and profits ultimately fall. To deliver real value, we need to strive for zero defects, ensure quality at every level, and really listen to our customers. I know many companies doing an excellent job promoting these objectives at the home office, but executing them in the field is another story. How do you share with your trades what is essential to achieve your defined level of quality? Do they follow your directives or simply do what their other builder clients do, or what they’ve always done? When I ask builders how many different methods for installing windows they use, the response is often, “We specify one on the plans, but in the field, it depends who shows up to the site.” That’s frightening, and it won’t fly if we truly want to be in control of customer satisfaction and warranty claims. I want to encourage you to focus on construction quality at a level you’ve probably never considered: Define the product you’re delivering and its intended performance. Outline how you want to be perceived by your customers. Commit to spending more time on site reviewing what you expect and making sure it’s happening. When Yelp decides to add housing or builders to its rating pages, will your company look good or suffer? Will your customers give you the enthusiastic endorsement you need to attract more—and new—buyers? This may be hard to swallow, but I don’t believe we can blame our quality and customer satisfaction issues on a lack of skilled trades, though that does have an impact. What we lack is an unwavering commitment to quality throughout the building process. Are you driving your people to excel at quality? Is your company committed to the product at every level? Are you getting fewer warranty requests? Are you delivering a level of durability, comfort, and quality unmatched by your competitors? Every person in every part of your company must know about this promise to your consumer: That you’re committed to building them a durable, long-lasting home. Do this and you’ll unleash one of the most powerful sales tools in any industry: referrals. Scott Sedam, a contributing editor to Professional Builder, recommends every builder look for money by first curbing waste. He has found $5,000 to $10,000 worth of wasted materials in almost every house, due to broken processes, misordered items, lack of plan consistency, and poor communication with trades. Let’s say you can find $8K of waste in every home you build. Would you be willing to invest $5K of that “found money” into doing something that increases your referral rate? I am asking you to stop focusing on driving down costs solely to increase profits or shareholder value. Expand your vision for the future and invest in the entire process. Digitize your plans and give your tradespeople a higher level of detail, and share them with your suppliers and see their accuracy rise and costs diminish. Track the time, wait-time, and rework of your trades and see where you can improve. Narrow your tolerances and increase your training to ensure that every trade stepping on your jobsites has a clear understanding of your expectations, shares your values, and will deliver on that commitment every time. A son of a colleague works for one of the largest snack companies on the planet. People who work the potato chip-making machines are retrained every three weeks because the company is committed to delivering the perfect potato chip. Imagine how much more training we need to be doing in order to deliver the perfect house. Right now, companies in China, Japan, Germany, and other countries are watching our housing industry because they believe there are significant opportunities to fix what is broken and reap the profits; in fact, they’re already here. To compete, we need to commit to building our brands through better quality, higher levels of workmanship, and an entirely new level of customer satisfaction. Our industry’s future is filled with challenges on every level. In these uncertain times of star ratings, shifting politics, seemingly fickle buyers, rising material costs, and trade hurdles, we can only be sure of one thing: People want beautiful, comfortable homes that will stand the test of time. If you can deliver a level of quality that’s higher than your competitors, I believe you will find the profits and the customer referrals you need for sustained success. Mark LaLiberte is a co-founder and partner at Construction Instruction, in Denver. Email him at mark@constructioninstruction.com.